1. Name of child or individual. 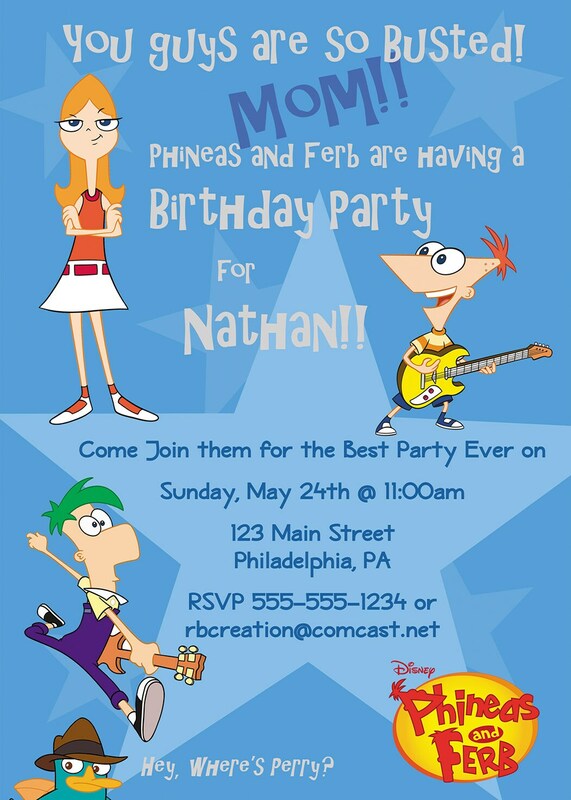 These were the best invitations ever!! My son is obsessed with P&F and wanted a party with that theme. These invitations were the perfect introduction to his guests as to the theme of this year's party. They were done in a timely manner and were very easy to read. 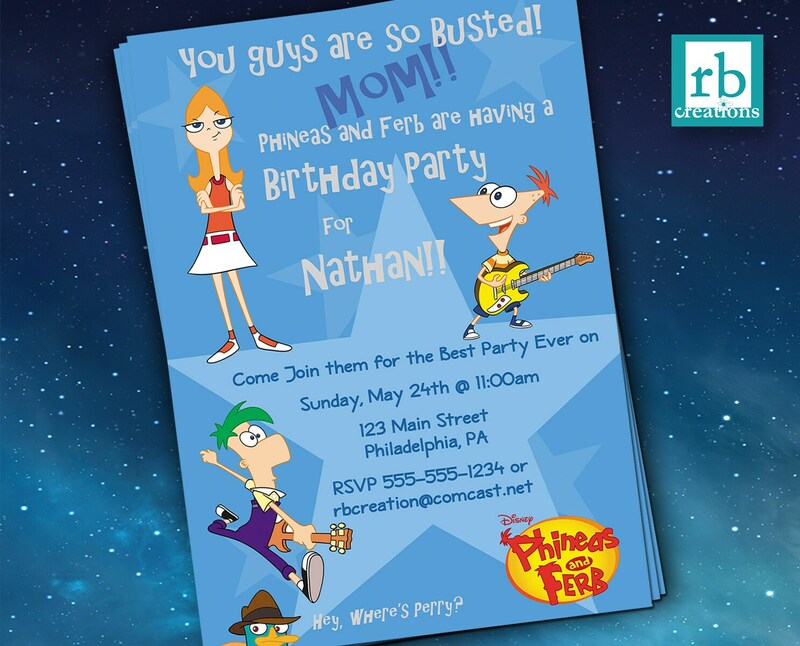 My son loved the bright colors and how it sounded like the characters would have said the exact saying on the invite. Thank you for such a wonderful invitation! !